The real security threats to the United Kingdom come not from Russia but from climate change, inequality and marginalisation. 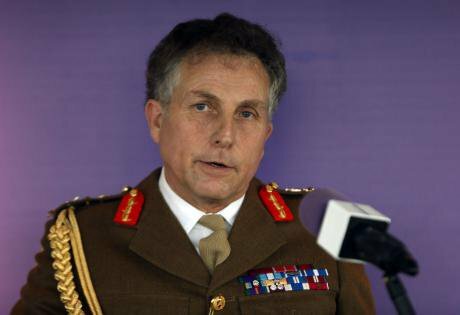 Head of the British Army General Sir Nick Carter warns that Britain's ability to pre-empt or respond to threats risks being eroded if the UK does not keep up with its enemies. Steve Parsons/PA Images. All rights reserved.A much publicised speech on 22 January by General Sir Nick Carter, chief of the general staff of the British army, had unmistakable echoes of the cold war. 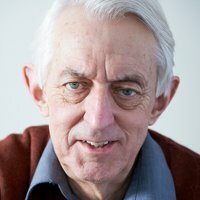 Warning of Russia's direct security threat to the United Kingdom, and signalling a need to increase the military budget rather than continue to shave expenditure, Carter's alarmist portrait of a nation in peril was sanctioned directly by Gavin Williamson, new defence secretary in Theresa May's ailing government. Russia performs a useful function: its role as as a supposed threat enables the harsh legacy of the recent past to be evaded. The argument for more military spending is a recurrent feature of British politics. But the well-rehearsed establishment case is ever at pains to avoid two huge and uncomfortable realities. The first is that Britain is part of a western coalition that has fought three disastrous wars (Iraq, Afghanistan, Libya) in the past sixteen years. In great consequence, the domestic threat of attacks stemming from ISIS, al-Qaida and other such groups has never been higher. Andrew Parker, the director of MI5, confirmed as much in a speech on 17 October 2017. Yet the defence community refuses to view these military failures, and their outcomes, as part of a fundamental problem. In this respect, Russia performs a useful function: its role as as a supposed threat enables the harsh legacy of the recent past to be evaded. Compounding the problem is the second reality, namely that the UK defence budget is increasingly being crunched by the need to maintain two vastly expensive projects. These are upgrading the nuclear force with new missile-submarines, and deploying two enormous new aircraft-carriers (see "In defence of greatness: Britain's carrier saga", 10 May 2012). What makes these fiascos even more damaging is that they have precious little relevance to the actual security challenges facing the UK: global economic polarisation, climate disruption, and revolts from the margins. Along with the Russia obsession, they represent a great diversion which blocks serious debate on what Britain’s approach to international security should really be. (see "Britain's global role: fantasy vs reality", 5 October 2017). The principal theme of General Carter's speech summoned images of the cold-war era of the 1970s-80s, still recalled by older people in Britain, when the Nato alliance and the Warsaw pact states faced each other across the "iron curtain" dividing Europe. Then, the Soviet Union with its 270 million people, 3.7 million troops and nuclear arsenal was projected as clear and immediate danger to the west. Today, the language and atmosphere of the debate about Russia seem designed to generate similar fears. In truth, modern day Russia is a shadow of the former Soviet Union. In economic terms it is ranked twelfth in the world in terms of GDP: well behind the UK, France or Germany, let alone the United States, and far outdone by the combined weight of Nato member-states. Russians too may complain about the cost of foreign adventures, but many are grudgingly ready to bear the burden as they see Vladimir Putin “making Russia great again”. Russia's substantial nuclear arsenal, and the unpredictable way that tensions and crises can escalate, mean there certainly are dangers. But talk of Russia as a direct, intentional military threat to western Europe is greatly misplaced. How the so-called Russian threat can be used to justify more military spending is illustrated admirably by a single example from October 2016. This was the deployment of Russia’s only aircraft-carrier, the Admiral Kuznetsov, from its Arctic base to a Syrian port in the eastern Mediterranean in order to bolster Moscow's support for Bashar al-Assad's regime. This entire drama was one not of military strength, but of military symbolism and the power of myth. The Kuznetsov's passage through the Straits of Calais was covered widely by the western media, as was its subsequent deployment in the Syrian war and its return to Russia early in 2017. Indeed in Britain the entire operation was represented as proof of Russian maritime power, contrasting with domestic pressures on the defence budget. In reality, however, the Kuznetsov – a veteran built in the mid-1980s – has been plagued with technical problems since it was commissioned, proved costly to maintain, and has rarely even put to sea. Even when it deployed for any length of time, fears over its propulsion reliability were so great that it is normally accompanied by an ocean-going tug. Its chequered experience in Syria matched this pretty disastrous record. The carrier’s air-wing was itself small, holding just eight Su-33 fighters and four MiG-29 multirole aircraft. During the operation two out of these twelve planes were lost in accidents while trying to land on the ship. Both pilots survived, but for most of the deployment the planes were flown not from the much-vaunted carrier but from a Russian airbase in Syria. In the event, the overwhelming majority of the Russian airstrikes were launched from land bases. This near farcical story notwithstanding, the Admiral Kuznetsov was widely touted in the British and western media as indicative of Russian military supremacy. Rather, this entire drama was one not of military strength, but of military symbolism and the power of myth. If Britain’s two Queen Elizabeth-class aircraft-carriers are eventually made available for deployment in the 2020s, and if sufficient crew can be got together to enable them to operate, then they may well be much more reliable than the Admiral Kuznetsov. But there have already been major cost overruns, and even when completed the whole operation will still be dependent on the US F-35 Lightning multi-role aircraft (see "Britain's 21st-century defence", 15 February 2007). “The availability of the fighter jet for missions when needed – a key metric – remains ‘around 50 percent, a condition that has existed with no significant improvement since October 2014, despite the increasing number of aircraft,’ Robert Behler, the Defense Department’s new director of operational testing, said in an annual report, delivered Tuesday to senior Pentagon leaders and congressional committees” (see Anthony Capaccio, "Why the Pentagon isn't happy with the F-35", Bloomberg, 24 January 2018). Meanwhile, the UK's programme to replace the Trident nuclear-weapons system is marked by severe delays and cost escalations, though near desperate attempts are underway to close off information about these. But word does seep out that persistent problems affect both the building of nuclear-powered submarines at Barrow and the nuclear reactors for the new boats being developed by Rolls Royce at Derby. It must be suspected that Carter's forcefulness about the Russian threat reflects his frustration that the army he heads is losing out to what are little more than vanity projects. The combined effect of these ill-considered strategic decisions – replacing Trident, building the aircraft-carriers, and buying hugely expensive F-35s – is that the UK’s whole defence posture is warped (see "Britain's defence: the path to change", 7 May 2015). In fact, it must be suspected that General Carter's forcefulness about the Russian threat also reflects his frustration that the army he heads is losing out to what are little more than vanity projects (and many even within the UK armed forces view them as such). A likely prospect is that Britain in the 2030s ends up with the ability to fight a nuclear war or send an aircraft-carrier around the world, but is able to do very little else. That would be a symbol not of a great power contributing to world peace and stability, but of a country that had still not come to terms with its post-imperial status and was drifting into dangerous irrelevance (see “Big boats and bigger skimmers: determining Britain’s role in the long war”, International Affairs, 82/4 , pp.651-665). It could be so different. There is a critical need for a middle-ranking power to provide leadership in climate action, economic transformation, conflict prevention, peacekeeping and peacebuilding, and so many other areas (see “Making Britain Great Again – in a different way”, 16 November 2017). This could happen with a change of government, which is unlikely in the near term. But that in no way diminishes the need to make the case. There is simply too much at stake.